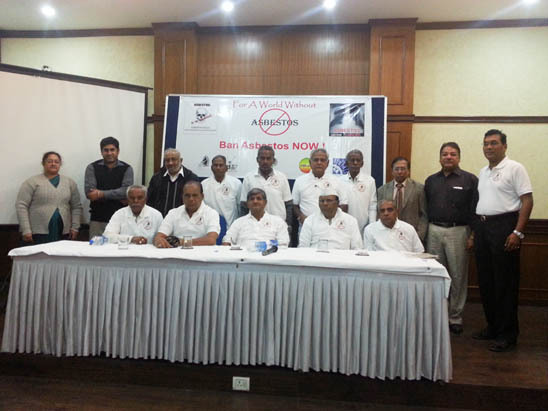 The Secretary of the Indian Association of Occupational Health reiterated his organization's support for a national ban on the use and mining of asbestos. 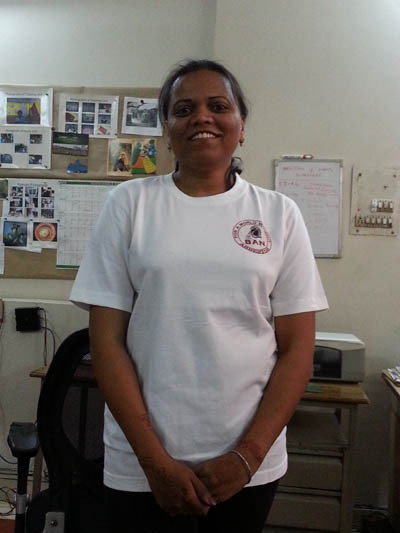 His remarks were echoed by those of Mr H Mahadevan, Vice Chairman of the National Safety Council. 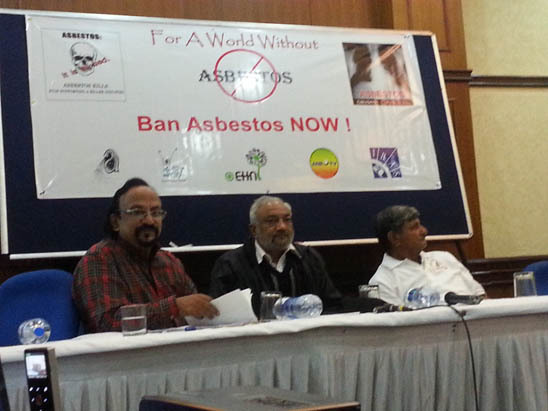 Campaigner Mohit Gupta, from the Occupational and Environmental Health Network of India (OEHNI), the organizers of this event, deplored the fact that since 1960, India has used over 7 million tonnes of asbestos and that in 2013 usage is predicted to exceed 500,000 tonnes. He pledged OEHNI's determination to continue its efforts to end the national disgrace of asbestos use. 2 This letter was sent to the Minister of Health & Family Welfare, the Minister of Labor & Employment, and the Minister of Forests & Environment. 3 PDF version of the letter sent to Indian Ministers which was released to the public today (December 2, 2013) at the press conference.